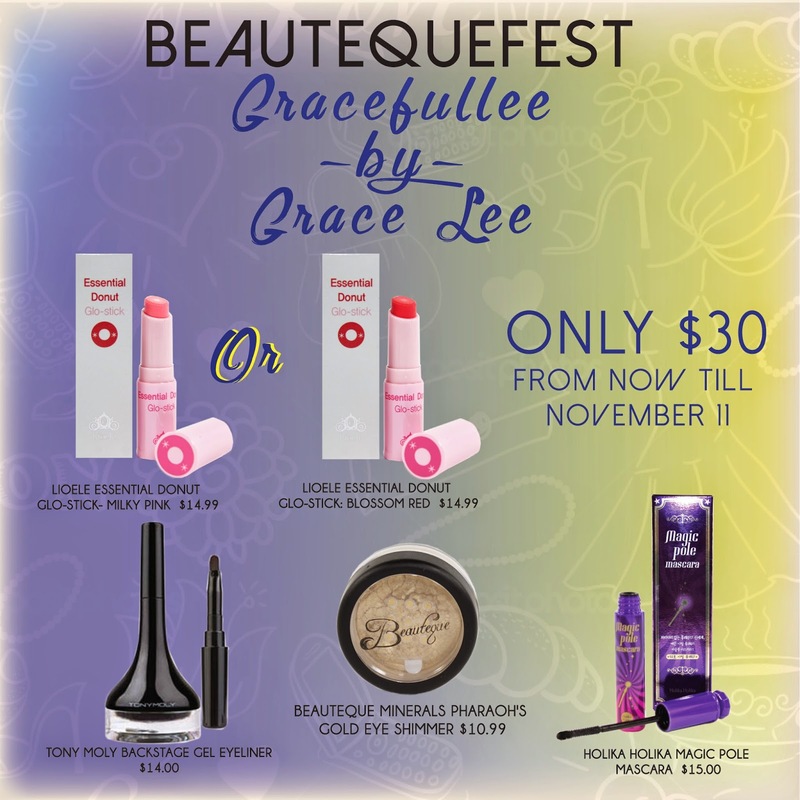 Today, I'm excited to announce that I've teamed up with Beauteque to present to you the Gracefullee by Grace Lee collection kit that is now available on their website. The kit is valued at almost $60, but it can be purchased for only $30 until Nov. 11th. This collection kit has been in the works for quite some time now, and I'm so ecstatic to finally share the news with you all! If you use the coupon code GRACEFULLEE at checkout, you will receive a free sheet mask with your order! Also, everyone has a choice between the 2 lipsticks (milky pink or blossom red). You will be able to select the color of your choice when placing the order online. I'm a sucker for the gold eye shimmer and I just love how thick the mascara is. It applies more coating to your lashes without having to keep applying! P.S. please excuse my strawberry nails - I took these pictures before getting ready for Halloween! And please be sure to order this collection - it's only half off the original price - what a steal!